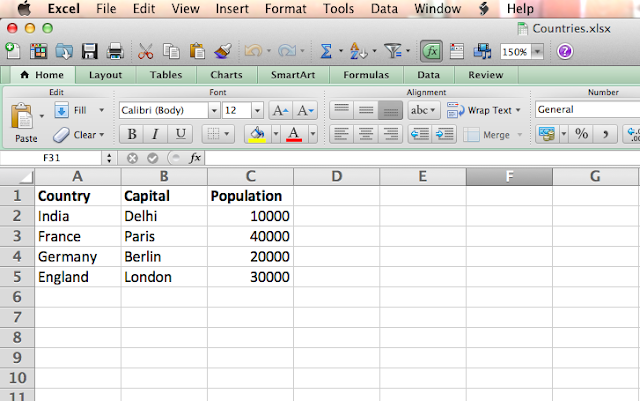 In this post, we will see how to read excel in java using Apache POI example. HSSF: Used for dealing with files excel 2003 or earlier(.xls). 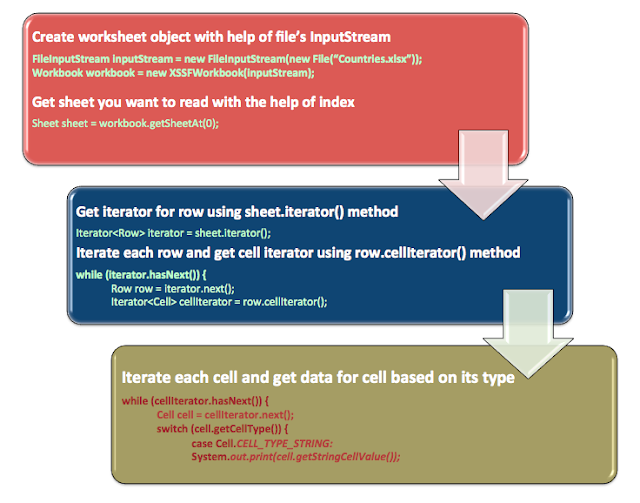 Some of classes with HSSF prefix are HSSFWorkbook , HSSFSheet , HSSFRow and HSSFCell. XSSF: Used for dealing with files excel 2007 or later(.xlsx). Some of classes with XSSF prefix are XSSFWorkbook , XSSFSheet , XSSFRow and XSSFCell. Here are few classes which you need to aware of. Workbook : This is high level class for representing excel workbook. 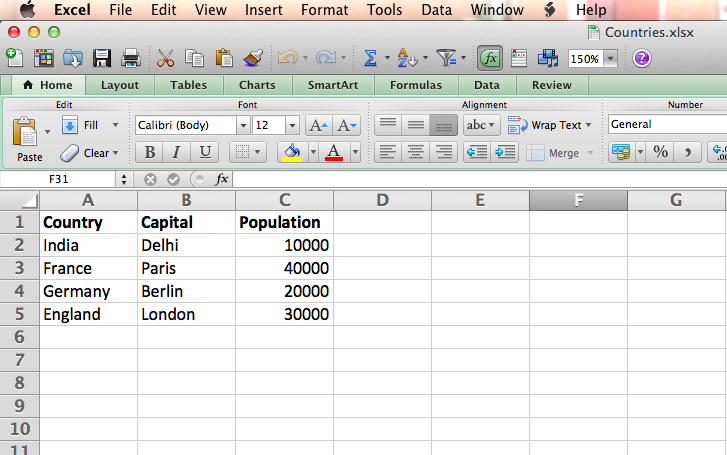 Sheet : This is high level class for representing excel sheet. Row : This is high level class for representing excel row. It has methods which are related to row. Cell: This is high level class for representing individual excel cell. It has methods which are related to cell for example : getDataType(). If you are using maven, then you need to add below dependency in pom.xml. If you are not using maven, then you need to add below jars in classpath. Lets be more object oriented. We will read each row and create country object. Obviously we will skip header row.